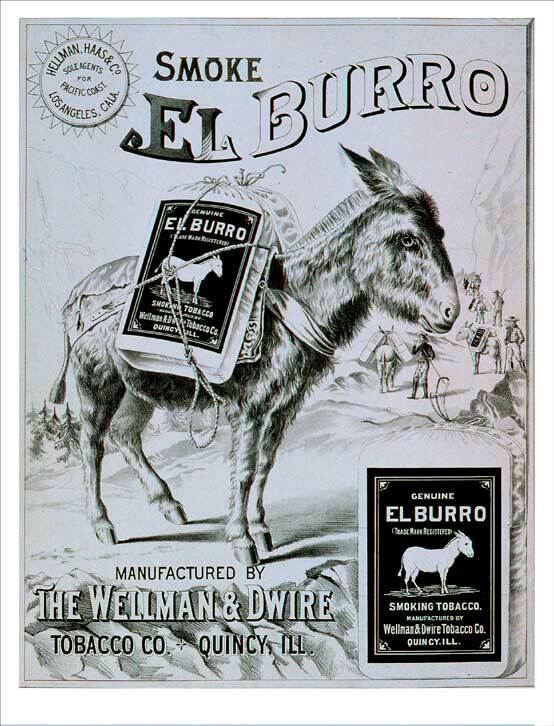 Smoke El Burro / Manufactured by / The Wellman & Dwire / Tobacco Co. / Quincy, Ill.
Lithograph. Black and White and Colored. N.d. Each: 13.75 x 10.5 in (34.9 x 26.7 cm). Cincinnati: Krebs Lithographing Co. Langstroth Collection. Art and Music Department.